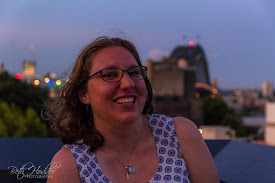 I haven't done Friday Favourites in a while mainly because it takes a whole week of planning and I haven't had time lately with study, my sisters 18th party this weekend, helping out in my Mum's school and applying for jobs. So this is a quick version! 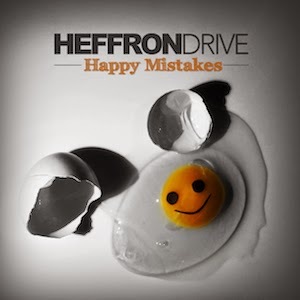 Heffron Drive Happy Mistakes - this album is great but very alternative and the songs have unexpected twists in them. I love Its been my current album to play when I am driving lately. Greek on DVD - this tv show is addictive and I managed to watch the whole series in 2 weeks. I am so happy that you can get the first 2 seasons on DVD which means I can get my younger sister hooked on it as well. 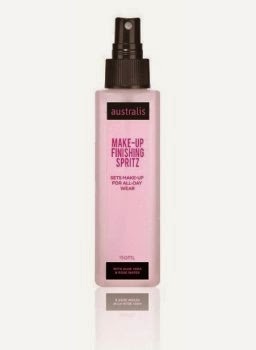 Australis Make Up Finishing Spritz - I am wondering where on earth this has been and why I didn't try it sooner! You just lighty spritz it on after you have done your makeup (I do it before I do my mascara) and it won't budge. I used this on Tuesday when I had my interview and my makeup stayed on great despite the fact that it was humid and I was dripping with sweat! It also smells great and can be used throughout the day to refresh your face if needed. The Ruby Circle (final bloodlines book) - This was such a great read and I finished it within 24 hours. I am planning on rereading the whole series now that its finished because I am already missing the characters! It is a sister series to Vampire Academy but its a great standalone series as well and its not directly based around vampires more the world they live in and how the humans see and relate to them.